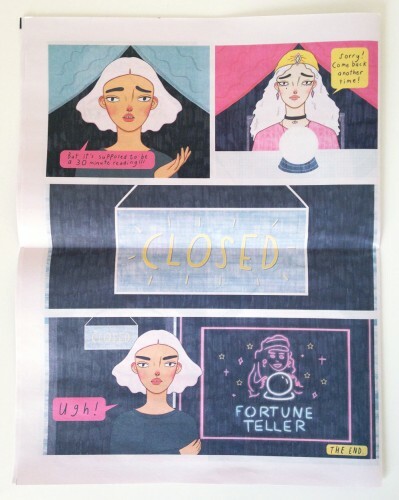 Manjit Thapp is a student studying illustration in London and this is her delightful newspaper comic. 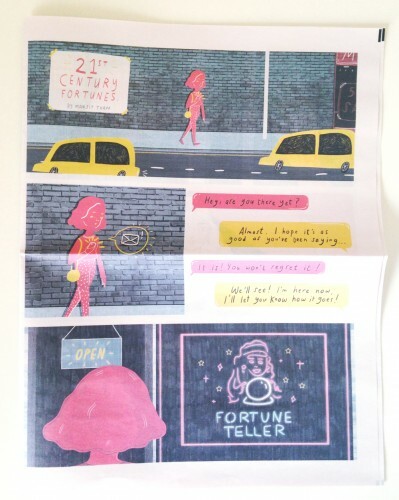 It's called 21st Century Fortunes and was created in response to a brief on the theme of 'conversation.' It's a great interaction between a cunning psychic and her beguiled client. 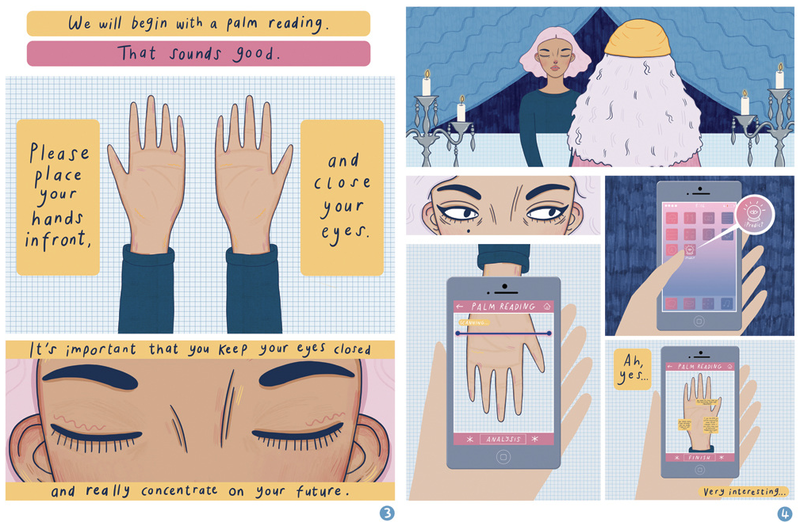 It's a clever and beautifully drawn story and you can read the whole thing on Cargo Collective. 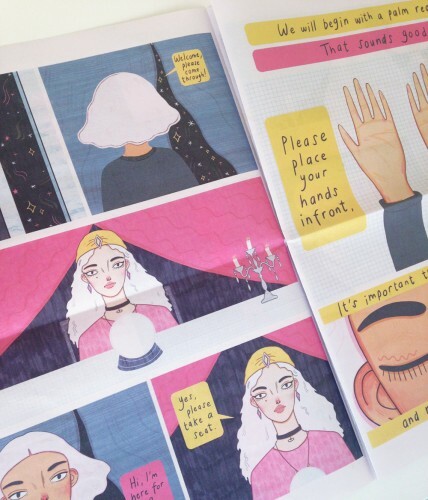 Manjit posts her illustrations and works in progress on her blog A Thousand Daisies and it's well worth a visit. Thanks for printing with us!